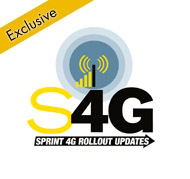 It's been quite a beehive of activity around the S4GRU forums as members proclaim that 4G icons are appearing live in the Dallas/Ft. Worth Metroplex, Houston, San Antonio and in isolated spots around the Austin market (most notably around Waco). 4G LTE is appearing in these markets. I have now received confirmation from sources within Sprint, that they have indeed stopped blocking LTE connections in the DFW, Houston, San Antontio and Austin markets. LTE is now discoverable for Sprint LTE devices in these locations where LTE sites have been completed. Every fully configured and signed off LTE site in these markets is now live. Currently, this leaves only th Atlanta market to be lit up of the July 15th announced cities. Our sources do not know when that is yet, but feel like it may even still be later today. There is a flurry of activity occurring. There have also been reports of some LTE sites appearing in the Chicago market by S4GRU members. But these are very scattered and inconsistent. Please note that the live LTE sites in the Austin market is very limited. Mostly around Waco. But there are a very few isolated sites live in the Austin metro area. We are awaiting details on locations. Live DFW LTE sites as of the last S4GRU update. There are more sites live at this time than what we are reporting. But more coverage will be added weekly. Live Houston LTE sites as of the last S4GRU update. There are more sites live at this time than what we are reporting. But more coverage will be added weekly. 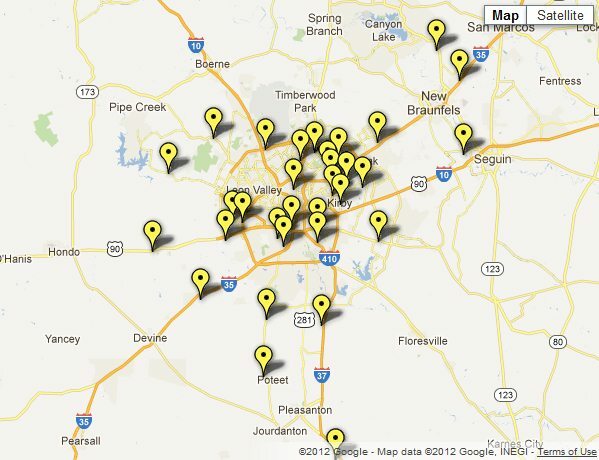 Live San Antonio LTE sites as of the last S4GRU update. There are more sites live at this time than what we are reporting. But more coverage will be added weekly. 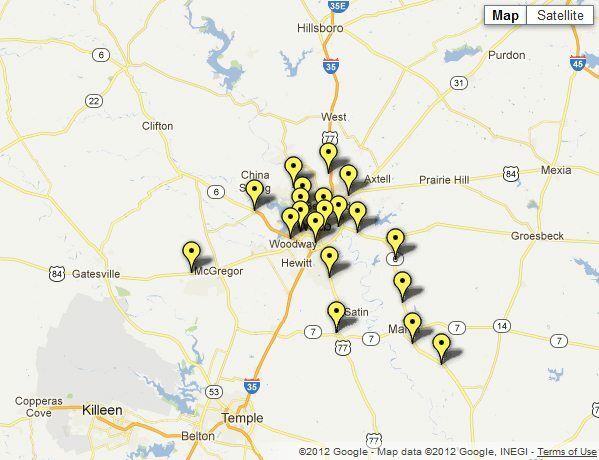 Live Waco LTE sites as of the last S4GRU update. There are more sites live at this time than what we are reporting, even a few around the City of Austin. But more coverage will be added weekly. Come on sprint, flip that switch in the ATL!!!!!!!!! Waco has the most solid coverage of any Sprint LTE city at the moment. It is because Sprint and Ericsson used it as a FIT area. What are the speedtests, by any chance? I also looked at the Sprint Coverage Maps and saw that 5 or 6 places had 4G LTE. Interested to see where the completed towers in the Austin metro area are, I still haven't seen any movement at the towers in north Austin. LMAO!!!!! Trust me bro, I am well informed but thanks though. So do you think they have all the sites up that they are going to up by the 15th date? Add Atlanta. Reboot your phone. I am on LTE now and its sticking. I love it! Talk about night n day. North Dallas here (75254) and am not yet seeing LTE. I switched my phone (Galaxy Nexus) from CDMA only to LTE/CDMA, rebooted, turned off wifi, and still just have my 3G icon. You may be outside of live coverage area. Only 40% of the market's sites have LTE on them at the moment. More and more will be added every week until the whole market is 100% complete. 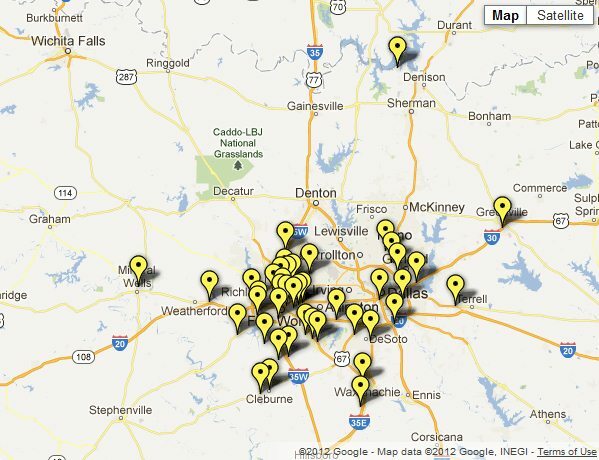 So Waco has 20 sites and Austin has 9 (spread out over a larger area)? I 2nd that! Toggled everything...rebooted multiple times...still no 4G. Atlanta/Athens is simply not complete. Me to, I switch the 3G to LTE in my Galaxy Nexus and no luck. Yesterday around 0800 I saw the 4G icon with 1 bar and today nothing. I updated profile and updated prl and restarted and no 4G. Come on Sprint lift that switch. At 35 & 3009 I got 16k / 11k yesterday but at home, 2.3 miles south east well inside orange lte area, i am getting 193/70 (no typo) ... i realize towers will be coming online every week, but wasn't expecting service to be so bad in fringe areas. I was hopefull for today, but no joy. Is there schedule for when remaining towers will be turned on? When is DC getting getting 4g lte? Anybody knows? Any rumor? At 35 & 3009 I got 16k / 11k yesterday but at home, 2.3 miles south east well inside orange lte area, i am getting 193/70 (no typo) ... i realize towers will be coming online every week, but wasn't expecting service to be so bad in fringe areas. I was hopefull for today, but no joy. Is there schedule for when remaining towers will be turned on?Great info..... thanks! Dont feel bad. I was rocking LTE speeds at the Forum. At my house which is in Olympia right behind the Forum I get slow 3g. I find it odd because im on the same tower that I was on at the Forum. Its on the big blue water tower right behind the Home depot. Dont understand this. 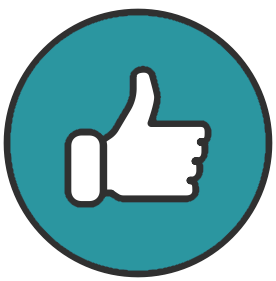 How certain are you that your are on the same site at both locations? If you look closely at the map. It looks like all the LTE towers are INSIDE 1604 and then one up at 3009. Rock_paper_... if you are down that hill at all or behind those apartments, that would explain it. Does anyone know that range of the LTE signal form the tower? Is there a map of the LTE towers that are on and still blocked? Is there a schedule of those towers being unblocked and or turned on?